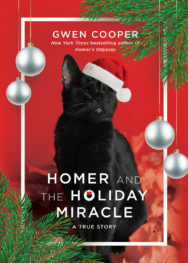 Before there was Homer the Blind Wonder Cat, there was Scarlett—the adorable, maddeningly aloof, gray rescue tabby . . .
Every cat lover remembers the very first feline they fell in love with. 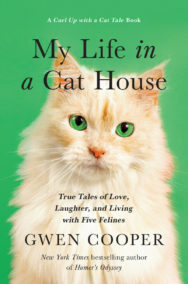 For celebrated cat writer Gwen Cooper, that first love is Scarlett—a pint-sized rescue kitten with a king-sized personality. 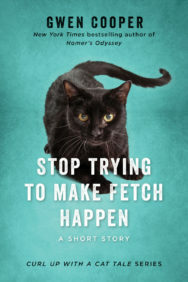 A natural-born troublemaker and wary at first after life on the streets, Scarlett is quick to win hearts with her kittenish mischief, but slow to open her own heart to the woman who saved her. Yet as the months go by, and bonds of trust are painstakingly forged link by link, Gwen begins to realize that the love you have to earn just may be the love that means the most. 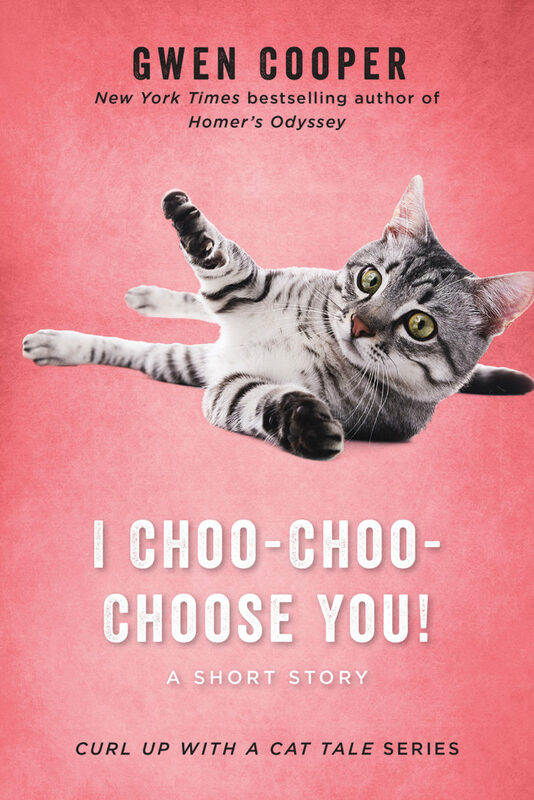 Poignant, tender, and laugh-out-loud funny, “I Choo-Choo-Choose You!” is the first in the Curl Up with a Cat Tale series of true short stories from Gwen Cooper—bestselling author of the smash hit Homer’s Odyssey: A Fearless Feline Tale—and sure to warm the heart of any cat enthusiast. Read and fall in love for the first time all over again!